Michigan has her favorites: the Leland Blue and our state stone, the Petoskey, but there are others equally distinctive and unique to Michigan. Copper Brick (1870-1940) has a story similar to the Leland Blue. While the Leland Blue was the slag that came from the smelting process, this stone is actually from the ceramic furnace brick that lined the copper ore smelters in Michigan's Upper Peninsula. Over decades of use, these bricks eroded and molten copper then filled the voids. In the 50s when the smelters were torn down, most of the bricks were re-possessed for their copper value. Only few remained to become a truly unique and unusual Michigan "gem". One of the rarest and most interesting of all the gem materials found in Michigan is the Mohawkite. 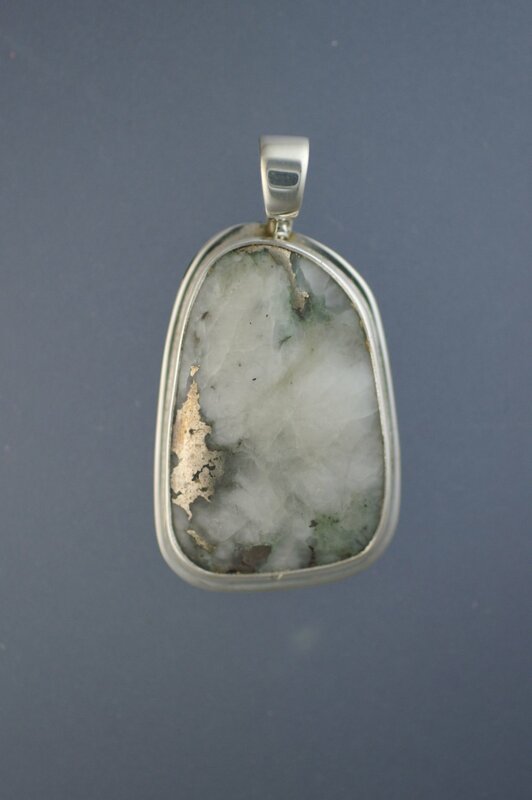 Discovered in only 2 copper mines in the Keweenaw Peninsula, it is a combination of copper, nickel and silver embedded in white quartz. None of this material has been mined for over 70 years. Pyrite, an iron sulfide, is found in many Michigan counties and commonly known as "fools gold". 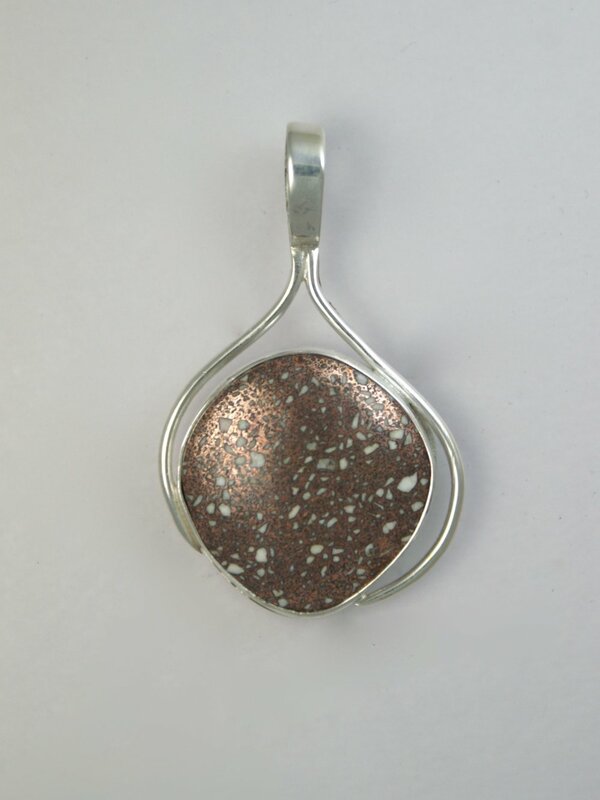 It is a favorite among rock collectors because of its beautiful luster. 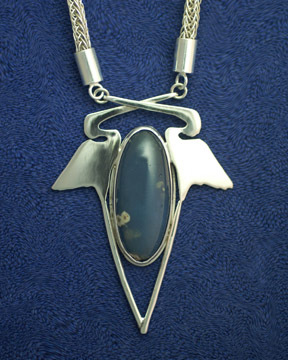 Hematite, an iron oxide, is one of the more common minerals on earth and is found in giant iron bands. 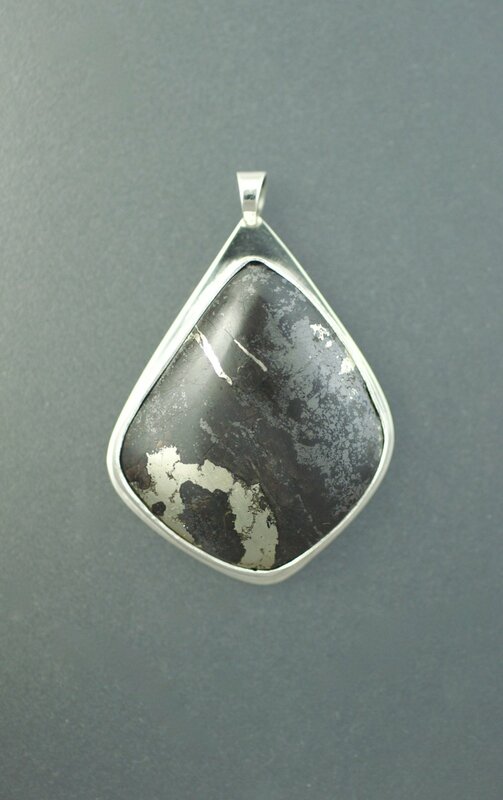 When Hematite forms near water, as it does in northern Michigan, it is usually grey in color. 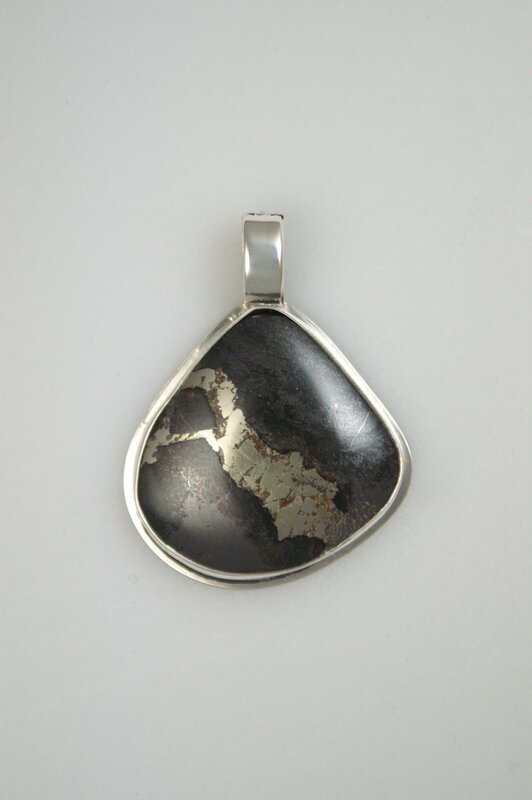 When Pyrite and Hematite mix, a beautiful silver grey base is infused by rich accents of gold. Jaspelite is a rare, dense sedimentary rock consisting of alternating layers of hematite, red jasper and magnetite. Its high iron content makes it magnetic. This unusual reddish and silvery grey-banded rock is found in Michigan's far-western Upper Peninsula but is considered extinct, as it is Proterozoic in age and not formed today.